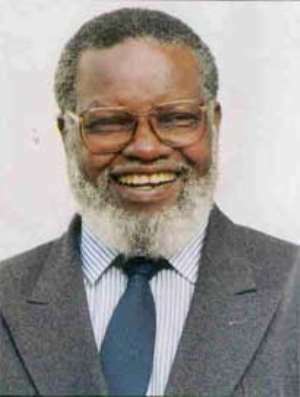 Accra, June 27, GNA - President Sam Nujoma of Namibia left Accra on Sunday morning for his country after a three-day visit to Ghana. During his visit, President Nujoma held discussion of mutual interest with President John Agyekum Kufuor and also paid a visit to the Kwame Nkrumah Mausoleum in Accra. President Kufuor, Nana Addo Dankwa Akufo-Addo, Ghana's Foreign Minister, Mr Amon Tanoi, the Ivorian Ambassador and the Dean of African Diplomatic Corps saw him off at the Kotoka International Airport.